Shiftelligence – What is this? 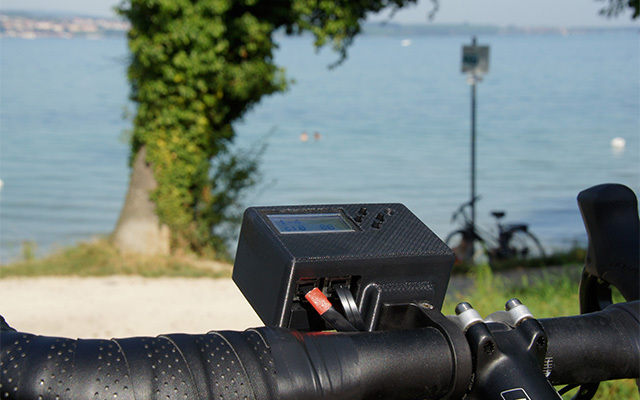 Shiftelligence is an intelligent, automatic gear-shifting system for bicycles. The problem: In general, cycling is all about the cyclist’s physical performance. He should concentrate on the road und enjoy the sport and exercise. But until now, there are still many things he has to think about. Which gear is currently engaged? Does this gear cause a high degree of wear? Is the current strain too high? What gear should be engaged to optimize it? These decisions are often made subjectively and rarely lead to an ideal result. In the worst case, the cyclist uses a wrong gear or has to try out several gears. This is where our invention comes in. The compact system we developed uses live sensor data to precisely determine the ideal gear that fits the cyclist’s preferences best. This gear is engaged automatically and almost without delay using an electronic gear-shifting system. However, what is special about our system is its intelligence with its many aspects and facets. For instance, it analyzes the ride and can decide autonomously whether shifting would be a sensible measure at all. When choosing the ideal gear, it also knows which gears cause a lot of wear and avoids them. Even with the system connected, the cyclist can use the regular shifting levers to shift manually if he wishes. In this case, the system hands over control to the cyclist and assists him by displaying the current gear and correcting unsuitable gears. But our prototype is capable of much more. 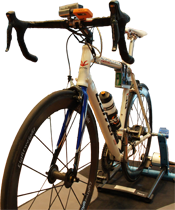 All in all, our invention spares the cyclist the hassle of finding the right gear and enables him to concentrate on his exercise and environment and at the same time supports him to reach his training goals or just to pedal comfortably. Here for the first time? Have a look around and discover what our current prototype is capable of. You can find news in the news section or in our twitter feed. In case you are interested in our project or have any questions, don’t hesitate to contact us!